Professor Johnson accepted an appointment to serve as Professor and Chairman of the Department of Psychiatry and to lead the Brain Sciences Consortium at the University Maryland on October 15, 2013. Prior to that appointment, he was the Alumni Professor and Chairman of the Department of Psychiatry and Neurobehavioral Sciences at the University of Virginia beginning on September 1, 2004. He also is a professor in the Department of Neuroscience and a professor in the Department of Medicine. Professor Johnson graduated in Medicine from Glasgow University in 1982 and trained in Psychiatry at the Royal London, Maudsley, and Bethlem Royal Hospitals. Additional to his medical degree, he trained in research at the Institute of Psychiatry (University of London) and conducted studies in neuropsychopharmacology for his doctoral thesis (degree from Glasgow University) on the Medical Research Council unit at Oxford University. More recently, in 2004, Professor Johnson earned his Doctor of Science degree in Medicine from Glasgow University—the highest degree that can be granted in science by a British university. His primary area of research expertise is the psychopharmacology of medications for treating addictions. 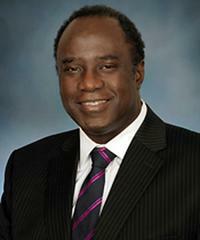 Professor Johnson is a licensed physician and board-certified psychiatrist throughout Europe and in the U.S. He is the Principal Investigator on National Institutes of Health (NIH)-funded research studies utilizing neuroimaging, neuropharmacology, and molecular genetics techniques. Professor Johnson's clinical expertise is in the fields of addiction, biological, and forensic psychiatry. Honors include service on numerous NIH review and other committees including special panels. Professor Johnson was the 2001 recipient of the Dan Anderson Research Award for his "distinguished contribution as a researcher who has advanced the scientific knowledge of addiction recovery." He received the Distinguished Senior Scholar of Distinction Award in 2002 from the National Medical Association. Professor Johnson also was an inductee of the Texas Hall of Fame in 2003 for contributions to science, mathematics, and technology, and in 2006 he received the American Psychiatric Association's (APA's) Distinguished Psychiatrist Lecturer Award. In 2007, he was named as a Fellow in the Royal College of Psychiatrists, and in 2008 he was elected to the status of Distinguished Fellow of the APA. In 2009, he received the APA's Solomon Carter Fuller Award, honoring an individual who has pioneered in an area that has benefited significantly the quality of life for Black people. 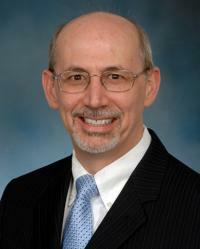 In 2010, he was named as a Fellow in the American College of Neuropsychopharmacology. He received the NIAAA's Jack Mendelson Award in 2013. Professor Johnson recently served for two years as Field Editor-in-Chief of Frontiers in Psychiatry and currently serves on the Editorial Boards of The American Journal of Psychiatry and Alcoholism: Clinical and Experimental Research, among others, in addition to reviewing for over 30 journals in pharmacology, neuroscience, and the addictions. He has over 200 publications and has also has edited three books: Drug Addiction and Its Treatment: Nexus of Neuroscience and Behavior, Handbook of Clinical Alcoholism Treatment, and Addiction Medicine: Science and Practice. Dr. Ehrenreich is an expert in the psychiatric care of the medically ill. As the Director of the Division of CL Psychiatry, he developed an HIV mental health and substance abuse clinic, a Medical Crisis Counseling Center, and specialized consultation services to the organ transplant programs, the cancer center, the diabetes clinic, and a vocational rehabilitation service. He has been actively involved in the education of medical students, residents, and fellows for over 20 years. Harsh K. Trivedi, M.D., M.B.A., is the president and chief executive officer of Sheppard Pratt Health System, the largest non-profit provider of mental health, substance use, special education, and social services in the country. He is also clinical professor and vice chair of psychiatry at the University of Maryland School of Medicine and consulting editor of Psychiatric Clinics of North America. Dr. Trivedi holds a leadership position on the Governing Council of the American Hospital Association, chairs the Council on Healthcare Systems and Financing for the American Psychiatric Association, and represents the field of psychiatry in the American Medical Association House of Delegates. The Faculty: 143 paid faculty and 175 volunteer faculty members provide a approaches in modern psychiatry, from the psychodynamic to the biological, and have interests which span an enormous variety of topics, from neurotransmitters to neuroimaging to psychoanalysis to ethics and philosophy. All of these approaches and interests coexist comfortably in our Department. The Residents: We also encourage leadership in our residents. In addition to leadership in the training program, residents are encouraged to apply for national awards and fellowships. In recent years, our residents have received the APA Glaxo Welcome Fellowship, the American College of Psychiatrists' Laughlin Fellowship, the APA Janssen Research Scholarship, the Biological Psychiatry Travel Fellowship, the NIMH Research Colloquium Scholar, the APA/CMHS Minority Fellowship, the APA Leadership Fellowship, the ACNP Minority Fellowship, the Group for the Advancement of Psychiatry Ginsberg Fellowship, and the resident membership to ACGME Residency Review Committee in Psychiatry.